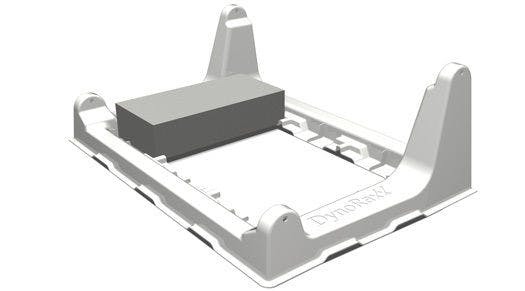 Do you have questions about our DynoRaxx racking, or questions about solar in general? Give us a call at 1-800-472-1142. The DynoRaxx Evolution flat roof system features an innovative design consisting of fiberglass rails and baskets and a tool-less clamping mechanism. Fiberglass is lightweight, low cost, corrosion resistant and will not expand or contract under extreme heating and cooling cycles. 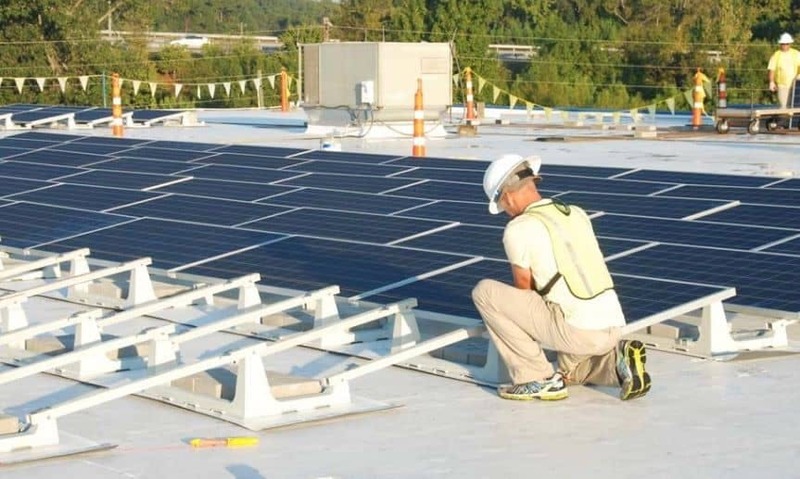 Solar panels are secured to the rack without the need for any tools using an innovative one-step pivot clamp. The tool-less pivot clamps are made from high quality 16 guage 304 series stainless steel. Fiberglass materials are lighter, easier to work with and transport. DynoRaxx FR is easy to install, even for large commercial projects. They offer complete technical support services and fast order fulfillment. DynoRaxx Evolution FR components cost less than traditional metal ballasted racking systems and are built to last longer and install faster. Call our experienced sales team for help designing and pricing your project.